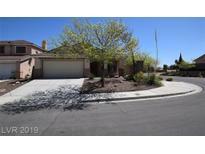 Below you can view all the homes for sale in the Highland Hills Summerlin subdivision located in Las Vegas Nevada. Listings in Highland Hills Summerlin are updated daily from data we receive from the Las Vegas multiple listing service. To learn more about any of these homes or to receive custom notifications when a new property is listed for sale in Highland Hills Summerlin, give us a call at 702-323-5933. Near Shopping, Schools, And Freeway Access. MLS#2081778. Resolution Realty. This beautiful Richmond American home features an extended laundry room w/sink and cabinets, multi-slide door at great room, tray ceiling at great room, Premier maple cabinets w/merlot finish and door hardware; additional cabinets at nook, stainless-steel kitchen sink and faucet, additional and upgraded insulation, garage service door, + much more! MLS#2083108. Real Estate Consultants of Nv. This gorgeous Richmond American home features a first-floor bedroom w/full bath, covered patio, stainless-steel appliance pkg., Gourmet maple cabinets w/painted linen finish, quartz kitchen countertops, additional lighting and ceiling fan prewires, ceramic tile flooring throughout main level; garage door opener, upgraded stainless-steel kitchen faucet and apron-front sink, window coverings, Mission style stair rails, + more! ! MLS#2082110. Real Estate Consultants of Nv. 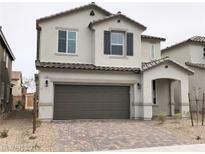 w/dual-fuel range,, home theater pkg., security system, complete landscaping w/pool, + much more! MLS#2079852. Real Estate Consultants of Nv. Call sales office today for up to the minute pricing and upgrades. MLS#2079858. Real Estate Consultants of Nv. This gorgeous Richmond American Model Home sits on a cul-de-sac homesite and features a wine room, courtyard w/gate, extended covered patio w/multi-slide doors, contemporary fireplace at great room, French doors and bookcase at study; upgraded quartz bath and kitchen countertop, home theater pkg., security system, complete landscaping w/pool, much more -- ask about additional upgrades! MLS#2079860. Real Estate Consultants of Nv. This Richmond American Designer Home features a deluxe master bath, center-meet sliding door at nook, contemporary fireplace, 10' ceilings w/8' doors throughout; extended covered patio, stainless-steel appliances w/pyramid hood, additional lighting, additional ceiling fan prewires, security system, + much more! MLS#2065487. Real Estate Consultants of Nv. Huge Great Room Offers High Vaulted Ceilings & Porcelain Tile Floors* Stunning Modern Kitchen Boasts a Waterfall Island, Quartz Counters, Stainless Built-In Appliances & Huge Walk-In Pantry*Palatial Master Suite w/Dual Custom Walk-in Closets* Spa-Like Master Bath has Floating Cabinets & Spa Shower w/Free Standing Tub*Extended Covered Paver Patio* MLS#2065448. Huntington & Ellis, A Real Est. This Richmond American home features a deluxe master bath, center-meet sliding door at nook, contemporary fireplace, 10' ceilings w/8' doors throughout; extended covered patio, stainless-steel appliances w/pyramid hood, additional lighting, additional ceiling fan prewires, security system, + more! MLS#2056457. Real Estate Consultants of Nv. An Over Sized Backyard, Covered Patio With 2 Out Door Fans, A Plumbed Gas Line With Valve For Outdoor Cooking And 220 Volts Available In Garage. MLS#2052380. Quantified Investment Group. This designer home by Richmond American includes a walk-in shower at master bath, multi-slide doors at great room, French doors at study, upgraded and additional insulation, additional windows, stainless-steel appliance pkg., maple cabinets ; quartz kitchen countertops, upgraded quartz master bath countertops, upgraded stainless-steel bath faucets, upgraded carpet, luxury vinyl tile; laundry sink and cabinets, + more! MLS#2048661. Real Estate Consultants of Nv. GATED COMMUNITY OF SOUTHERN HIGHLANDS without the HOA master plan. MLS#2045378. United Realty Group. Call sales office today for current pricing / full list of upgrades. MLS#2030155. Real Estate Consultants of Nv. Beautiful Richmond American home that includes a guest suite, contemporary fireplace, spa shower and free-standing tub at master bath; coffered ceilings, Epicurean stainless-steel appliance package, Premier maple cabinets with silver; cabinet door hardware, wet bar at master bedroom, stainless-steel bath faucets, upgraded carpet at bedrooms and hall, upgraded interior trim package, laundry sink and cabinets, additional lighting, + more! MLS#1978736. Real Estate Consultants of Nv.